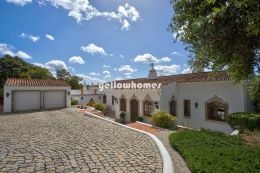 Selling real estate in an area as popular as the Algarve during the summer period can be a little tricky. Normally between mid-June and mid-September most properties are occupied and viewings can be difficult to arrange. However, the end of summer signals the start of the autumn selling period and, as most agents will testify, a return to more tolerable working temperatures. Historically it is also the time of year when more home owners decide now is the time to sell. With the recent weakening of the pound many British second-home owners can afford to sell properties at a much lower Euro rate and still come out on top. With euro to sterling currently at around €1.12, it is a good time for British homeowners who are looking to sell. Fortunately we have many potential buyers from various countries that have already confirmed their arrival dates for the coming months. In order to meet the demand we are extremely keen for new listings of good quality properties particularly around the areas of Loule, Almancil, Boliqueime, Vilamoura, Carvoeiro and Tavira. If you are selling or are considering selling your property and would like an obligation free consultation then please contact us on the telephone number below. It´s a sign of the times that nowadays the vast majority of potential buyers to the Algarve do plenty of research on the internet before committing to booking viewings. Surely there is nothing easier than sitting in front of your computer spending hours trawling through the internet property pages looking at the thousands of properties for sale? Well it turns out maybe not. One of the biggest frustrations we hear from our potential buyers is about the incorrect information given on the internet in particular on some of the larger overseas property portals. Time and time again we hear about properties listed that are no longer for sale, different agents giving varying prices for the same property and some properties listed with total wrong information. It is the real estate agents responsibility to make sure all information given on each property is correct and current, irrespective of where the property is advertised. In Portugal it is common to have multiple agents trying to sell the same property. Of course some agents are more active than others and sometimes communications regarding properties that have sold, price changes, building alterations, etc. may not be passed on to all the agents. Whilst the portals offer a huge database of properties for sale, normally the real estate agents´ own websites are more strictly maintained and updated. For example our own website is updated throughout the day with any price alterations or new information uploaded immediately. Arguably the best way to get a list of up-to-date properties for sale is to communicate directly with your agent giving your exact search specifications. A good agent has an in depth knowledge about every property in their portfolio, whether visible on the website or as a confidential listing, and so can hand pick the perfect properties for each individual. We recognize the importance of being able to offer prospective purchasers a concise yet perfectly matched selection of properties to suit all tastes and budgets. Therefore for those potential buyers that are considering purchasing in the Algarve, we ask you to make an appointment with one of our offices to discuss your property requirements with a member of our team. We look forward to hearing from you soon.